Last month Bob talked about the basic decisions to be made regarding the plenum volume and setpoint pressure for a successful regulated PCP. 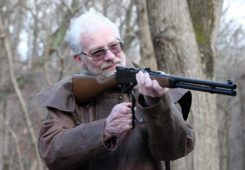 Now he moves on to techniques for tuning regulated PCP airguns. 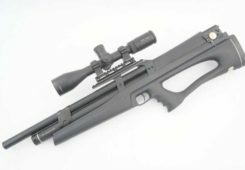 The first thing you need to understand when tuning regulated PCP airguns is that for any PCP there is a maximum velocity for a given pellet, based on the pressure, barrel length and port sizes. This maximum velocity occurs when the valve stays open until the pellet leaves the muzzle, and we call that the “plateau velocity”. Adding more hammer strike will not increase the velocity further. The additional valve dwell will just keep blasting air out the muzzle after Elvis has left the building. 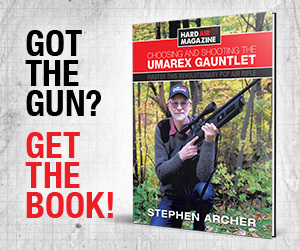 If you convert an unregulated PCP to regulated, you will be tuning the gun for less pressure, so you will have to reduce the hammer strike accordingly. If not, you are almost guaranteed to be operating on the plateau, and wasting air, resulting in a low shot count. 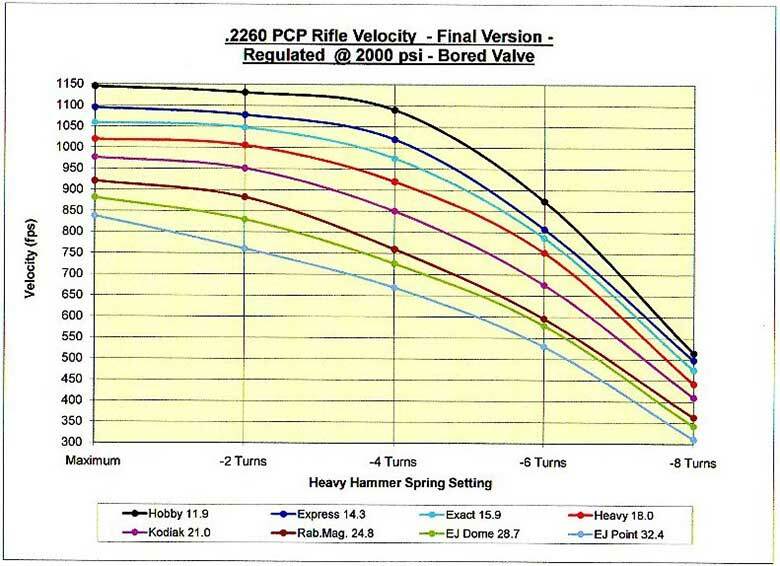 If you plot velocity vs hammer strike for any PCP, you will get something like this. Note how the efficiency increases as we reduce the hammer strike. In this case, more hammer spring preload is to the left, the preload being “turns out from coil bind”. Using more preload than 4 turns out just wastes air, with no velocity increase. That is what we call the “plateau”. On the other hand, by the time the preload has been reduced to 6 turns or more out from coil bind, the velocity drops a lot with decreasing preload, and that is what we call the “downslope”. In between 4 – 5.5 turns out is the curved part of the plot, which we call the “knee”. 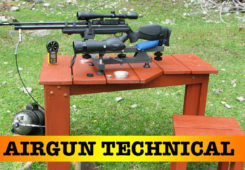 This is the area that interests us, and where we want to concentrate when tuning regulated PCP airguns. Unfortunately, the knee is not in the same place for all pellets. 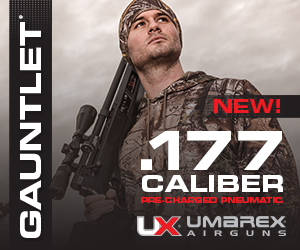 As we increase the pellet weight, the pellet accelerates slower. 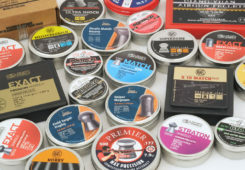 You will notice that with lighter pellets the knee occurs at less preload than with heavy ones. In fact, with pellets heavier than 20 gr. in that gun, we could not reach the plateau, even with the hammer spring set at “coil bind” (ie maximum preload). 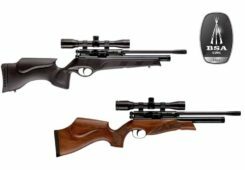 This means that you may have to change your preload setting to achieve the best results for different weight pellets when tuning tuning regulated PCP airguns. With your pellet of choice, shoot through a Chrony at all usable preload or SSG gap settings to find the plateau, knee and downslope. 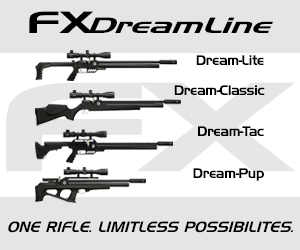 NOTE: you only need to shoot 1 or 2 shots at each preload setting, not a whole string. Any Tune You Want, for a Nickel! 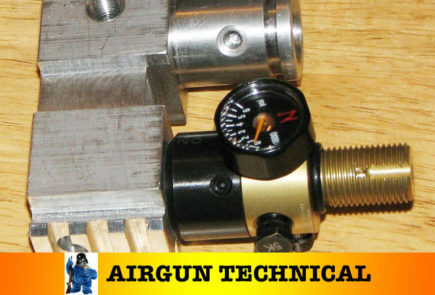 There are different approaches to tuning regulated PCP airguns, and they will give different results. If you tune on the plateau, you will be assured of maximum velocity, but will waste air. If you tune 10% or more below the plateau velocity, on the downslope, you will be rewarded with excellent efficiency, at lower power. 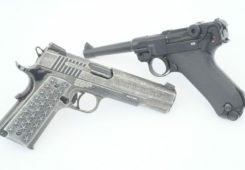 But below the setpoint pressure the gun will act like an unregulated PCP, and produce a bell-curve. In between those extremes, tuning on the knee of the curve, you will be close to maximum power, but use a lot less air. 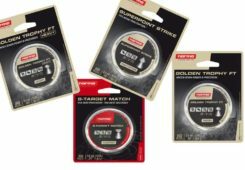 Below are some generic shot strings you might see with various tunes. Note that even above the setpoint the velocity does not tend to be absolutely flat. 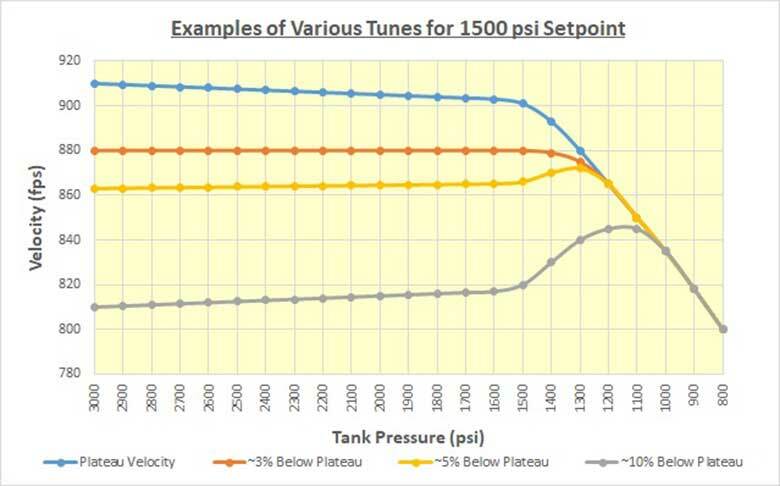 This is because most regulators have some “creep”, ie the output pressure is slightly higher when the bottle/HP reservoir is full than when it is just above the setpoint pressure. This difference is probably only 50-100 psi, but if you are tuning regulated PCP airguns on the plateau (blue curve), it may be enough that you see the velocity falling slightly even though you are well above the setpoint. Conversely, if you are tuned on the downslope (10% or more below the plateau velocity – the grey curve), as the bottle pressure falls, and the output pressure creeps downwards, the velocity increases slightly. 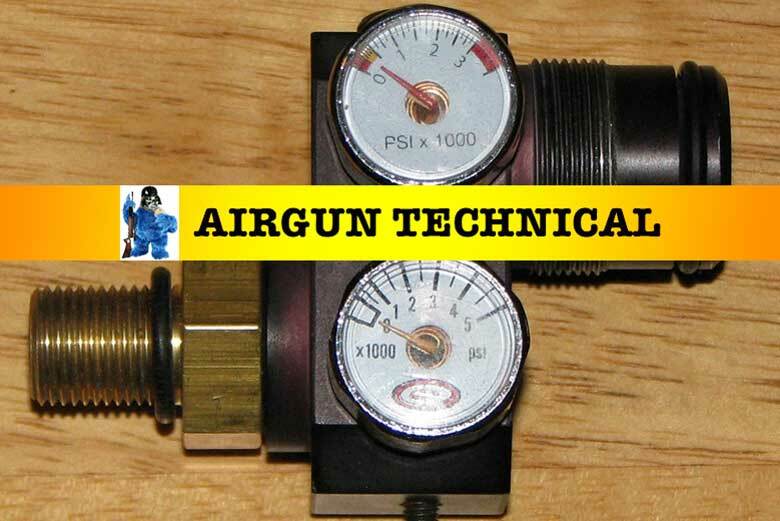 Then when you hit the setpoint, and the regulator stops regulating, the output pressure starts to drop more rapidly. Then the velocity INCREASES, developing a bell-curve, just like an unregulated PCP. (Because below the setpoint, it is unregulated). At somewhere around 3% below the plateau velocity (the red line – note all these percentages are just an estimate), the gun is operating near the peak pressure of what would be the bell curve at that hammer strike. This makes the velocity very stable over a wide range of pressures, and you should see no trend either up or down to the velocity above the setpoint. My favourite tune is at about 5% below the plateau (the yellow line). The velocity above the setpoint is almost flat, and when you reach the setpoint you get a TINY increase in velocity, until about 100-200 psi below the setpoint, before it starts to drop. If you get it just right, you can extend your shot string by several shots below the setpoint pressure, while still maintaining a 1-2% ES. You get more shots, at greater efficiency, while still taking advantage of most of the power. Why Not Tune on the Downslope? 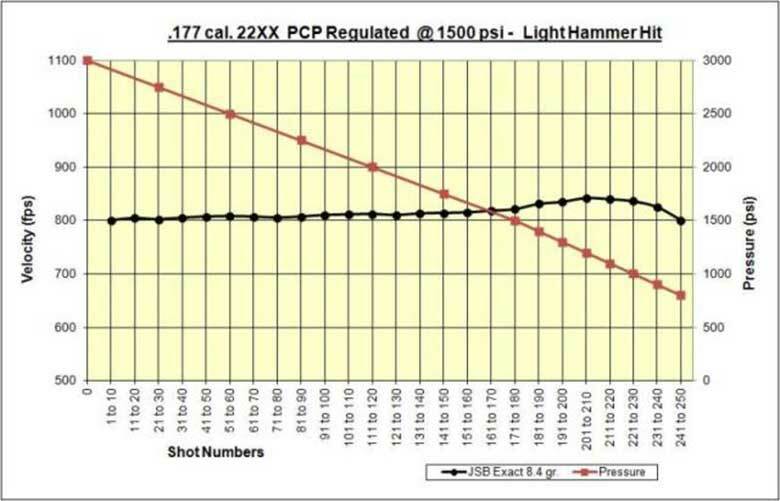 Tuning regulated PCP airguns on the downslope will indeed give you wonderful efficiency, albeit at a bit less power. 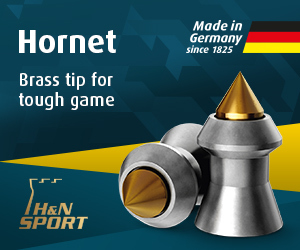 However, you have the option of increasing the setpoint pressure above what you need, and then decreasing the hammer strike to get back to the power you need. So why not tune that way? First of all, it results in a rise in velocity below the setpoint. 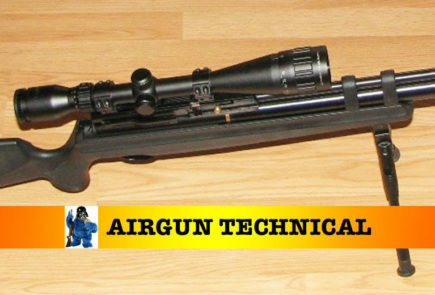 Here is a real-life example of a gun I tuned that way. 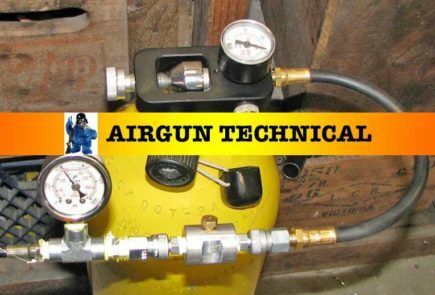 That gun got 180 shots from its 3000 psi fill down to its 1500 psi setpoint, with the velocity slowly creeping up by 2% as the pressure in the bottle dropped. Below the setpoint the velocity increased about 5% over the next 30 shots, and then decreased, giving a total of 250 shots before it dropped back to the 800 fps I started at. By that time, the pressure was down to 800 psi. 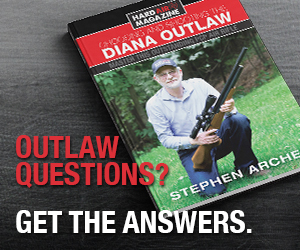 If you were plinking, you could use the entire 250 shots. 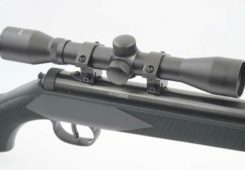 If you needed a narrower ES, you could stop shooting at 160 shots, a bit above the setpoint at about 1700 psi, and have a 1% ES, with wonderful efficiency (low air use per shot). Often in unregulated PCPs the velocity on the first half of the bell curve has a large variation from shot-to-shot. The shots stay within the overall 4% ES, but if you plot out the entire shot string, you will see a “zig-zag” curve in the first half. Then, once the velocity peaks, a nice smooth curve develops on the second half. This is caused by tiny variations in the hammer strike, or in the way the valve opens from each hammer hit. 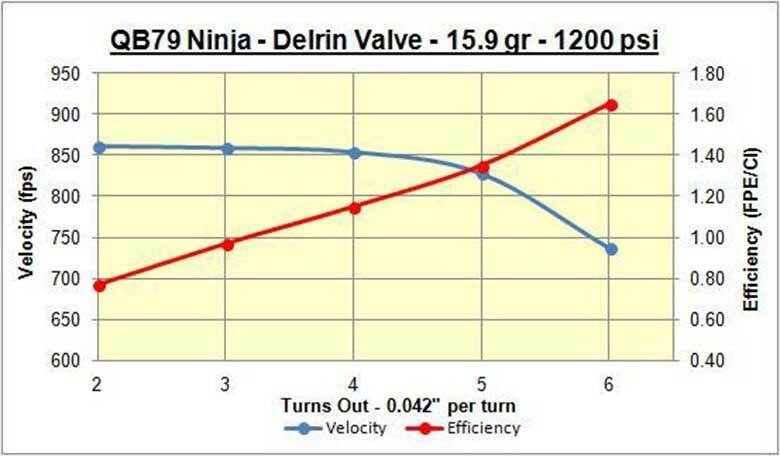 On the first half of the curve, you are operating in “partial valve lock”, and any tiny variation in hammer strike causes a large difference in dwell and velocity. Once you pass the velocity peak, the valve is opening fully at that (lower) pressure, and small variations in hammer strike don’t matter. 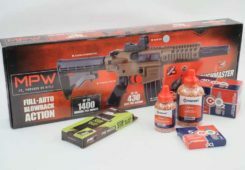 If your gun happens to be wonderfully stable when operating on the downslope, then you are lucky, and you can get to enjoy the high efficiency possible by tuning regulated PCP airguns at a slightly higher pressure and then detuning the hammer strike. More often than not, that is not the case, and the shot-to-shot variation will drive you nuts if you don’t understand what is causing it. If you can’t get the tune you want with the setpoint pressure you have, by following the above procedure, then increase the pressure to increase the velocity, or decrease it to decrease the velocity. Then retune for the new setpoint pressure. Next month I will be talking about PCP efficiency – what it is and what we can do to improve it. 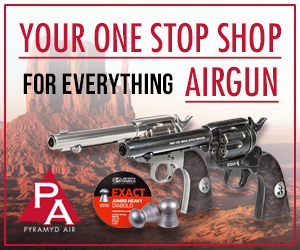 Until then, enjoy tuning regulated PCP airguns!